Growing Workforce Success with Palumbo Foods | Meet Tanda's Clients!Growing Workforce Success with Palumbo Foods | Meet Tanda's Clients! The lush valleys of Pennsylvania are home to a robust agricultural industry that generates employment on 59,000 farms in every county. Due to its mild climate, rich soils, and dedicated farmers, the industry generated a direct output of $83.8 billion in 2017. Among top outputs are chicken eggs, winter wheat, potatoes, oats, rye, soybeans, and barley. But one product stands out from the rest: Pennsylvania ranks first nationally in mushroom production. With an annual yield of more than 425 million pounds, valuing more than $330.7 million per year, the mushroom industry is a key player in the state’s economy. Nobody knows the significance of mushrooms better than the owners and staff of Palumbo Foods, headquartered in Avondale, Pennsylvania. Founder Tony Palumbo, having grown up in the mushroom industry, invested in his own company in 2008. A decade later, Tony is joined by several members of his family in overseeing more than 40 staff members. They sell over 350,000 pounds of mushrooms each week. Together, they supply mushrooms and seasonal produce to customers not just in Pennsylvania, but also in Florida, North Carolina, South Carolina, Ohio, Virginia, Georgia, and Texas. Tanda asked Vice President, Shawn Palumbo about running this successful food business. Talented people behind a family business “We have a lot of talented people on the staff who really go above and beyond,” Shawn says. “And that goes from our office team to our dock employees who are building orders day and night to our over the road truck drivers. We have a lot of dedicated people and that’s really what makes it work.” Company founder Tony Palumbo is joined by his son, Shawn, and daughter-in-law, Kimiko. Besides providing fresh, locally grown produce, the Palumbo Foods team also emphasizes customer service. Indeed, the family business has thrived through the tight-knit relationship of the staff, not just with each other, but also with their customers. Shawn remarks, “A bunch of loyal customers believed in what Tony was looking to do and stuck with us to help us get started. Years later, most of those customers still work with us.” Today, from locally grown mushrooms, they’ve branched out into seasonal produce like garlic, ginger, peppers, onions, cucumbers, and microgreens. Data-led improvements that matter Time is of the essence, especially in the food business. That’s where Shawn’s team encountered their biggest challenge. They thought they could make headway by keeping most of their staff in the first shift. “We always only operated with a first shift team, but we realized we were overloading them. There just was too much work for anyone to get done,” he recalls. Enter Tanda, a workforce management software with tracking and reporting capabilities. “The biggest key is visibility. Tanda gave us visibility to see where our hours were being spent and where we could place them,” he shares. From just having a first shift and seeing what needed to be done during the day, using Tanda allowed Palumbo Foods to see that they actually needed a third shift. “Looking at the numbers and seeing the physical data on paper and on the computer allowed us to make a decision that we wouldn’t have been able to make without Tanda so to speak,” he says. The team in charge of carrying out improvements relied on Tanda to make the decision to add a third shift. The results were astounding. “They’re coming in at night getting a third of the work done, so the team during the morning shift does not have as much pressure to get everything completed,” Shawn shares. The simple change decreased production errors and increased employee morale. “They’re less stressed and they’re more efficient. The quality has gone up to our customers as well. We’ve seen our returns decreased,” he adds. The addition of the third shift even allowed their trucks to leave earlier, which assists in completing their deliveries within service rule hours. Palumbo Foods uses Tanda to see where hours are being spent and how to improve operations Team visibility despite the miles “When I was younger, I worked at places and you grabbed the card, you put it in the machine, you put it back. What visibility does that give anybody?” Shawn asks, recalling the punch clocks that most businesses used decades ago, and which some still use today. For him, Tanda’s Time Clock App increased visibility and engagement with their teams who are working 2,000 miles away. “As management is in Pennsylvania, we have cameras at our Texas facility, but no one is sitting here watching the cameras all day. With Tanda, we can see what time they’re punching in, and coming and going,” he shares. For Palumbo Foods, the increased visibility has allowed them to operate better. It linked them to a critical part of their operation without actually being there. “We could remotely monitor and verify the hours being worked and make the appropriate decisions based on that data,” he says. ,” It has also increased trust among team members. Before switching to Tanda, employee attendance caused some friction. “The staff is now operating 24/7 so staff can come and go, and sometimes it was not being noticed. It was causing issues between team members as some were showing up later and leaving earlier than others,” he notes. Now, they can look at the Tanda timesheets and resolve these conflicts easily. Growing with workforce technology In 2017, Palumbo Foods opened a facility in San Antonio, Texas, with 7 employees. They also service Pennsylvania, Ohio, North Carolina, South Carolina, Virginia, Georgia, and Florida. Now Shawn and his team are looking to open more distribution spaces and employ more staff. There’s room to grow for this small family business, and Tanda is helping them make sense of their operations. “Knowing that, at any time, we can look at these reports, from anywhere has been a big, big help for us,” he says. Pennsylvania continues to lead the mushroom production industry in the United States. Contributing to this boom is Palumbo Foods, a company that continues to flourish through its talented staff and loyal customers. As Shawn notes, “It kind of really grew this into something that no one ever expected it could be.” And with their investment in workforce technology that lets them track employees and operations accurately, they’re all set to keep providing quality produce to more customers in the years to come. The lush valleys of Pennsylvania are home to a robust agricultural industry that generates employment on 59,000 farms in every county. Due to its mild climate, rich soils, and dedicated farmers, the industry generated a direct output of $83.8 billion in 2017. Among top outputs are chicken eggs, winter wheat, potatoes, oats, rye, soybeans, and barley. But one product stands out from the rest: Pennsylvania ranks first nationally in mushroom production. With an annual yield of more than 425 million pounds, valuing more than $330.7 million per year, the mushroom industry is a key player in the state’s economy. Nobody knows the significance of mushrooms better than the owners and staff of Palumbo Foods, headquartered in Avondale, Pennsylvania. Founder Tony Palumbo, having grown up in the mushroom industry, invested in his own company in 2008. A decade later, Tony is joined by several members of his family in overseeing more than 40 staff members. They sell over 350,000 pounds of mushrooms each week. Together, they supply mushrooms and seasonal produce to customers not just in Pennsylvania, but also in Florida, North Carolina, South Carolina, Ohio, Virginia, Georgia, and Texas. Tanda asked Vice President, Shawn Palumbo about running this successful food business. “We have a lot of talented people on the staff who really go above and beyond,” Shawn says. “And that goes from our office team to our dock employees who are building orders day and night to our over the road truck drivers. We have a lot of dedicated people and that’s really what makes it work.” Company founder Tony Palumbo is joined by his son, Shawn, and daughter-in-law, Kimiko. Besides providing fresh, locally grown produce, the Palumbo Foods team also emphasizes customer service. Indeed, the family business has thrived through the tight-knit relationship of the staff, not just with each other, but also with their customers. Shawn remarks, “A bunch of loyal customers believed in what Tony was looking to do and stuck with us to help us get started. Years later, most of those customers still work with us.” Today, from locally grown mushrooms, they’ve branched out into seasonal produce like garlic, ginger, peppers, onions, cucumbers, and microgreens. Time is of the essence, especially in the food business. That’s where Shawn’s team encountered their biggest challenge. They thought they could make headway by keeping most of their staff in the first shift. “We always only operated with a first shift team, but we realized we were overloading them. There just was too much work for anyone to get done,” he recalls. Enter Tanda, a workforce management software with tracking and reporting capabilities. “The biggest key is visibility. Tanda gave us visibility to see where our hours were being spent and where we could place them,” he shares. From just having a first shift and seeing what needed to be done during the day, using Tanda allowed Palumbo Foods to see that they actually needed a third shift. “Looking at the numbers and seeing the physical data on paper and on the computer allowed us to make a decision that we wouldn’t have been able to make without Tanda so to speak,” he says. The team in charge of carrying out improvements relied on Tanda to make the decision to add a third shift. The results were astounding. “They’re coming in at night getting a third of the work done, so the team during the morning shift does not have as much pressure to get everything completed,” Shawn shares. The simple change decreased production errors and increased employee morale. “They’re less stressed and they’re more efficient. The quality has gone up to our customers as well. We’ve seen our returns decreased,” he adds. The addition of the third shift even allowed their trucks to leave earlier, which assists in completing their deliveries within service rule hours. “When I was younger, I worked at places and you grabbed the card, you put it in the machine, you put it back. What visibility does that give anybody?” Shawn asks, recalling the punch clocks that most businesses used decades ago, and which some still use today. For him, Tanda’s Time Clock App increased visibility and engagement with their teams who are working 2,000 miles away. “As management is in Pennsylvania, we have cameras at our Texas facility, but no one is sitting here watching the cameras all day. With Tanda, we can see what time they’re punching in, and coming and going,” he shares. For Palumbo Foods, the increased visibility has allowed them to operate better. It linked them to a critical part of their operation without actually being there. “We could remotely monitor and verify the hours being worked and make the appropriate decisions based on that data,” he says. ,” It has also increased trust among team members. Before switching to Tanda, employee attendance caused some friction. “The staff is now operating 24/7 so staff can come and go, and sometimes it was not being noticed. It was causing issues between team members as some were showing up later and leaving earlier than others,” he notes. Now, they can look at the Tanda timesheets and resolve these conflicts easily. In 2017, Palumbo Foods opened a facility in San Antonio, Texas, with 7 employees. They also service Pennsylvania, Ohio, North Carolina, South Carolina, Virginia, Georgia, and Florida. Now Shawn and his team are looking to open more distribution spaces and employ more staff. There’s room to grow for this small family business, and Tanda is helping them make sense of their operations. “Knowing that, at any time, we can look at these reports, from anywhere has been a big, big help for us,” he says. Pennsylvania continues to lead the mushroom production industry in the United States. Contributing to this boom is Palumbo Foods, a company that continues to flourish through its talented staff and loyal customers. As Shawn notes, “It kind of really grew this into something that no one ever expected it could be.” And with their investment in workforce technology that lets them track employees and operations accurately, they’re all set to keep providing quality produce to more customers in the years to come. The charming city of Coffeyville, Kansas is a Bradbury novel come to life. From the striped storefront awnings, to the wooden balustrades of its brick buildings, the city’s history literally lines the streets. Formerly a frontier settlement on the Verdigris River, it was an oil and manufacturing town that played a large role in the development of the American Southwest. Today, iconic landmarks like the Condon Bank and Midland Theater are a couple of minutes away from automotive shops and fast food chains. And at the heart of Coffeyville is an unassuming three-story complex that tells a more recent story. In 2007, the Verdigris River flooded a third of the city and displaced hundreds of its residents. Shortly afterward, a 71-room property was built for the community by more than a dozen individual owners. Known as Sleep Inn and Suites, this cozy and conveniently located hotel is doing its part in modernizing Coffeyville’s hotel industry. Its multiple excellent reviews for cleanliness, comfort, and customer service stand out among several others in the area. We sat down with Sleep Inn’s General Manager, John Chevere, to learn more about their day-to-day operations. Multitasking with a Former Marine General Manager John is a former Marine who hasn’t lost his knack for efficiency. In fact, one of the first things he did was to look for a way to run Sleep Inn and Suites better. “What we were running into was a very complex payroll system […] Basically, the payroll system was all manual. We were using time sheets,” he says. “It just wasn’t anything I was used to and it wasn’t something I wanted to get used to. I thought it was kinda ridiculous from, you know, for us to be doing that way. So I started looking for a solution, and ran across Tanda.” Doing the payroll manually used to take John up to 4 hours. Most managers know that every minute is valuable because of all the moving parts that need supervision. Being stuck in a back office for hours on end takes away from time that could be spent training employees and engaging clients. After investing in Tanda’s workforce management software, the whole process was cut down to just 15 minutes. According to John, “From a management standpoint and from the ability to multitask, there’s nothing better than having your time freed up.” Read more: From Battlefields to Boardrooms: Finding Good Managers with William Gooderson Motivating a Lean-and-Mean Staff “The biggest obstacle I’ve ever faced is always managing people. It’s not managing processes, [because] you can put processes in place. The people are the ones you got to get motivated, and keep them that way,” John muses. To that end, they use their workforce management software not only to publish shifts and process payroll but also to increase employee engagement. “Everybody here uses the app,” he says, “We literally use Tanda for everything.” Tanda’s app has given John’s staff the ability to check their schedule and pay and file for time off, all from their mobile phones. “There’s really no reason for our staff to not ever have their schedule because it’s so readily available to them,” he adds. As a General Manager, he also knows how important it is to be able to motivate staff. “Again it goes back to the ability to manage your people,” he says. Through the program, he monitors his staff better, and notes how the team can improve. “Tanda sends me an alert to let me know that, hey, I’ve got two of my housekeepers that have run a pass on their target time”, he relates. Whereas monitoring used to involved guesswork, everything is now highly transparent. With the right data accessible in real time, John ensures all the work is done and the staff is paid correctly, at a fraction of the administrative cost. 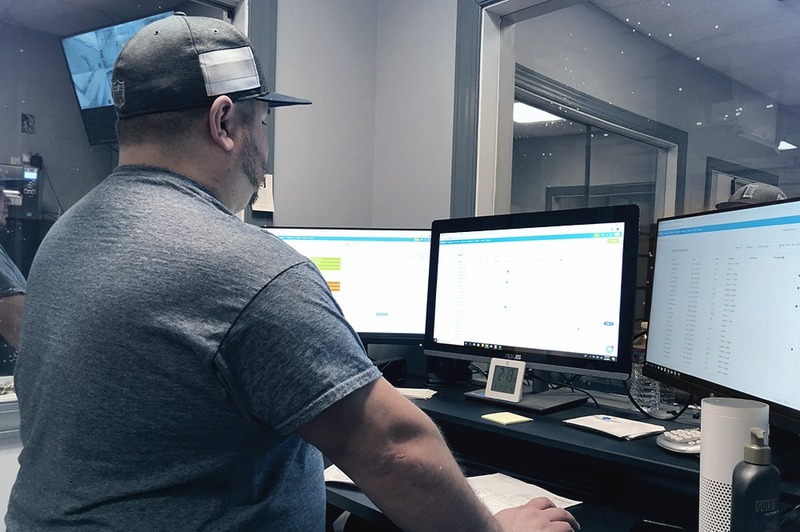 Read more: Why employees love Tanda’s Workforce Success software Modernizing Kansas Hotels John believes that workforce management software can do wonders for the hotel industry in Kansas and beyond. “As a manager, we always want to know if we’re hitting our numbers, especially in the hotel business. We want to know what our labor costs look like,” he says. Hotels, whatever the size, should invest in a one-stop-shop program that can schedule staff, integrate with payroll systems, ensure compliance, and even generate reports. “The other thing that I love about Tanda is that it will take your income per day and it will show you what your labor costs are. Those, once again, are things that you can’t get for that kind of money.” Today, the hospitality industry in Kansas makes up 9.2% of the total private sector employment, with a retail sales volume of $2.99 billion per year. It’s a robust and growing industry, with a notable boom in Kansas City, where more than 15 hotels are opening by 2020. John encourages all hotel managers and owners across the US to find workforce management software that works for them. “People would be very wise to go ahead and jump on board now, as opposed to waiting until this thing really takes off and then they’re going to spend more money [on a program],” he said. Doing so will enable hotels to use data to increase employee engagement and drive profits, while decreasing administrative costs. Read more: 3 Strategies to Master Your Wage Costs in 2019 Keeping Sleep Inn and Suites Future-proof Exciting things lie ahead for John and his staff with new investors looking at their hotel. Once they secure new contracts and grow the business, they’ll be able to use Tanda to their advantage even more. Tanda is no stranger to managing businesses of all sizes, with previously small operations taking Tanda with them upon expansions. Plus, with multiple payroll partners, there’s no conflict with existing systems. “With this new group, I will definitely have to manage my expenses probably a lot closer. Tanda is gonna really help me. And if there’s that revenue portion that can help me generate more revenue, that that’s going to help me in the process as well,” he says. Efficient, innovative, and future-proof — these are just three things that Sleep Inn and Suites can pride itself on. Coffeyville has been through its fair share of challenges, but the community has always pulled through. There is no better testament to this than this three-storey hotel on 11th street. It is even motivating local hotels to develop a whole new management standard. And with a promising hospitality industry that sees more local and international tourists checking in every year, success may well be here to stay in Kansas.